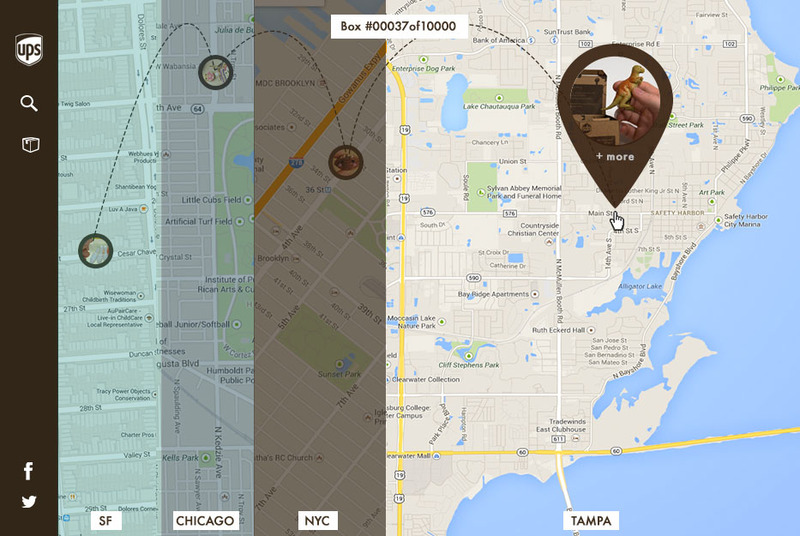 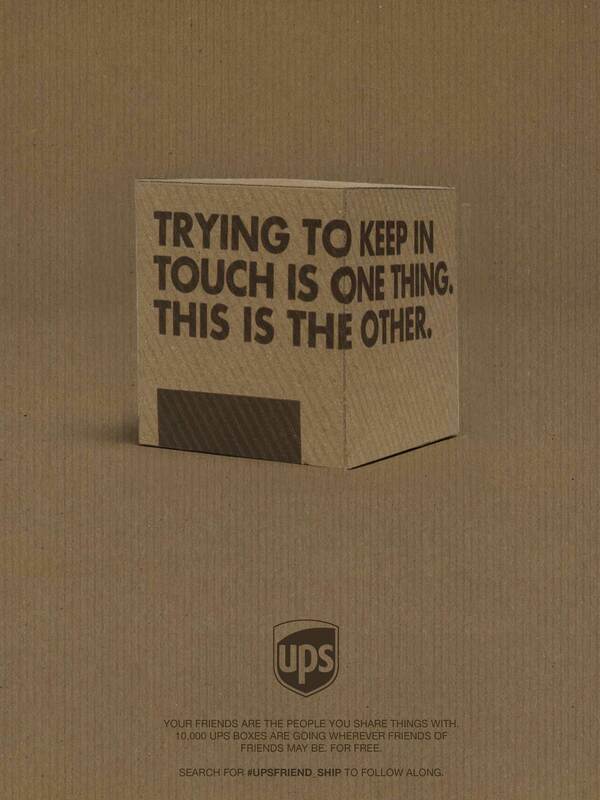 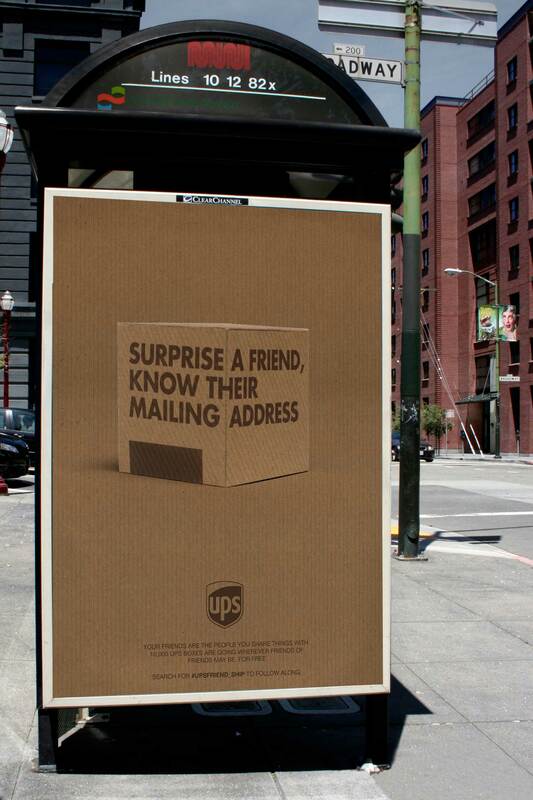 Everyone loves getting packages in the mail, but most friends share things digitally. 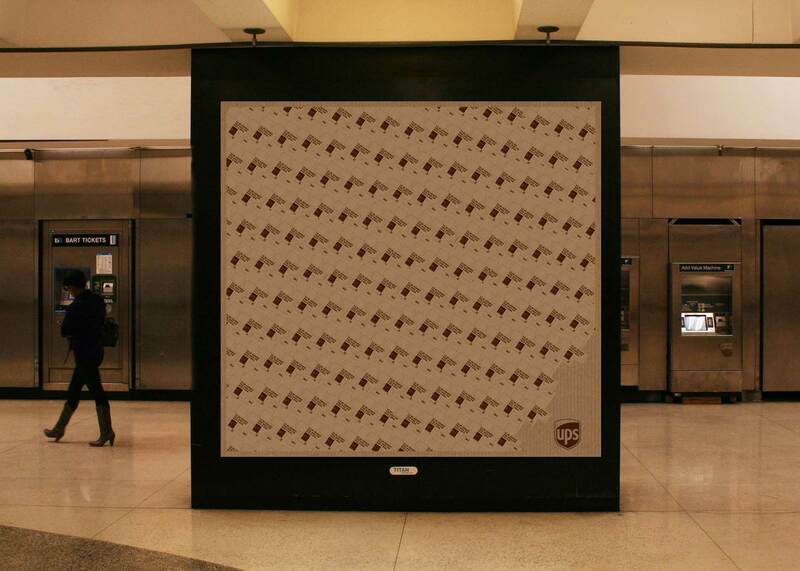 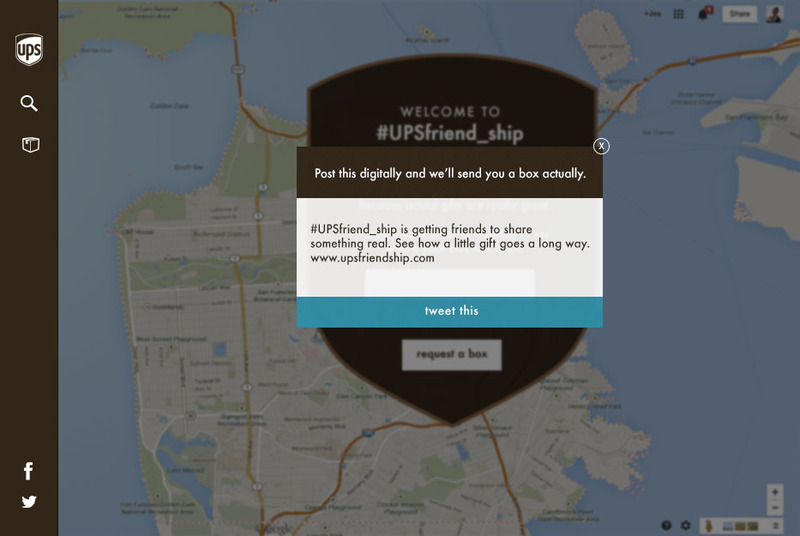 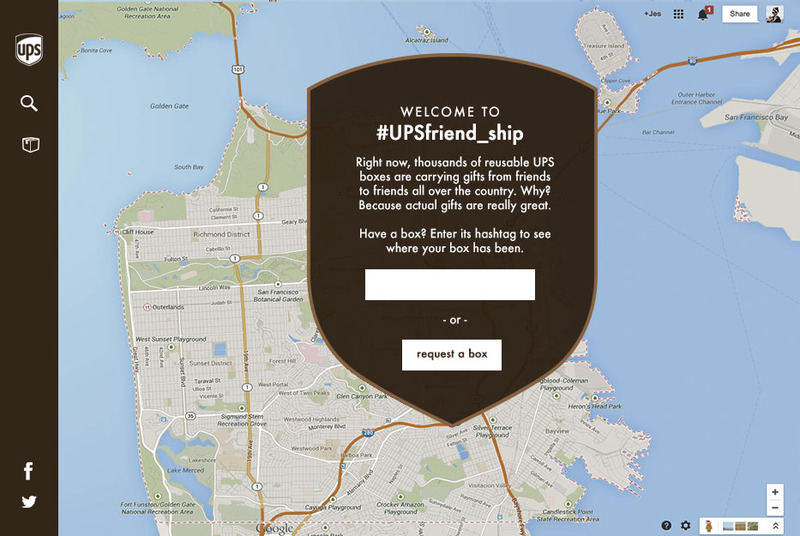 #UPSfriend_ship encourages both by distributing small reusable UPS boxes, each with their own trackable hashtag, that ship free. 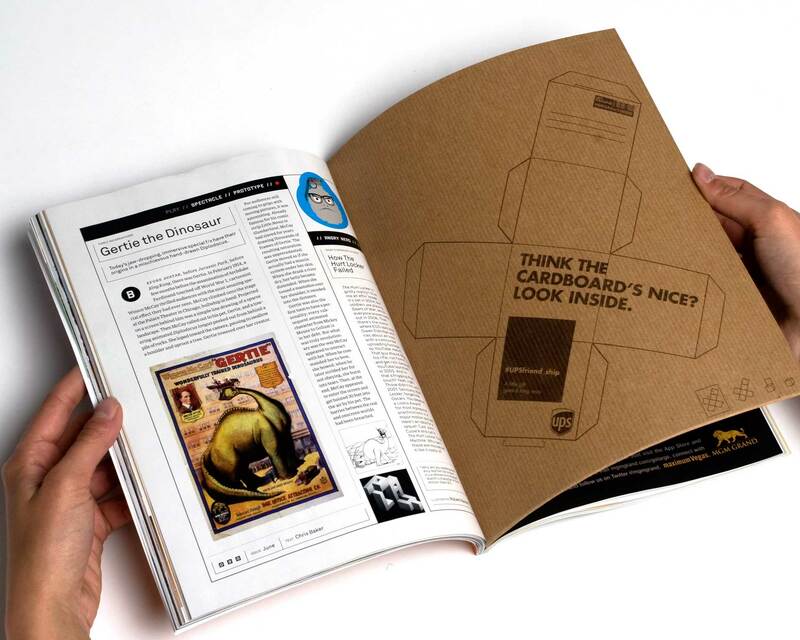 Foldable boxes as print media. 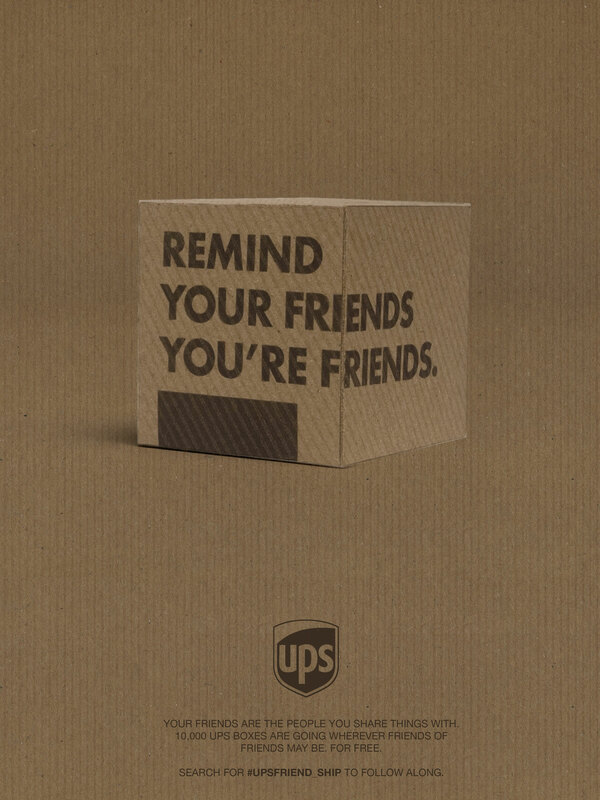 Share a tweet to get a box.